LG H840 specs revealed - is this an LG G5 Lite? 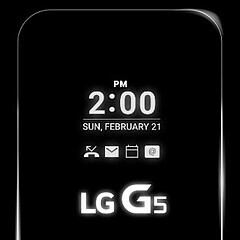 LG already confirmed the existence of its G5 flagship smartphone, which will be officially unveiled later this month, on February 21, at MWC 2016. Apparently, the handset has the model number LG H830 (or LG F700), so we're intrigued to find out that an LG H840 also exists. Judging by the model number, this H840 should be more advanced than the G5, right? Well, according to a recent GFXBench listing, that's not the case. It looks like the LG H840 has 3 GB of RAM and 32 GB of internal memory, and sports a 5.3-inch Quad HD (1440 x 2560 pixels) display - slightly smaller than the screen of the LG G5 (likely a 5.5-inch one). Sure enough, this doesn't make the H840 less advanced than the G5. What does make it belong to an inferior class is the processor, which appears to be Qualcomm's mid-range octa-core Snapdragon 625 - certainly no match for the top-of-the-line Snapdragon 820 that's expected to power the G5. the front and rear cameras of the LG H840 are listed as being 8 MP (3264 x 2448 pixels) units. However, these kind of benchmark references often don't reveal the exact camera Megapixel count. The really weird part about all this is that, according to the listing (seen on the right), this upcoming handset runs Android 4.4 KitKat - but that is, almost certainly, a mistake of some sorts, as it's unlikely for the device to run anything else than Android 6.0 Marshmallow. By the looks of it, the H840 may be a Lite variant of the LG G5 flagship, akin to what the LG G4 Beat (aka G4s) was compared to the LG G4. We've no idea if the LG H840 will be announced on the same day as the G5, but we're going to let you know if it does. 4.4 is still the best version of Android, especially if you're a power user. If LG released the flagship with that installed (and an option for the user to upgrade, for those that prefer) I would be perfectly happy. Still running 4.4 on my Nexus 4. Deep down im hoping that the leaked pictures were the "G5 Lite" and that the G5 will return with back buttons. Does this FINALLY mean the final death of 16gbon medium to high end phone. PLEASE. They should have made this model with 820 soc and with all the internals of the LG G5...i bet people would prefer the 5.3 inch than the 5.5. I dream of a 5" version of the V10, myself, just add SD820 & wireless charging and I'm good. As long as it have the same camera hardware and software processing of the main LG G5 just like how the Xperia Z5 and Xperia Z5 Compact is, that is fine by me even if they downgrade the SOC to Snapdragon 625. Camera quality is the one that I'm looking for a smartphone this year, second is battery life and third is design and build quality, I don't care about the rest since I don't play games on my phone or multitask on it. The one shown in that Link is so ugly. I hope its not the LG G5. They obviously don't. They just stick with their QHD screens to perform the numbers-trick on unsuspecting fools. So, we gave AGAIN a device with a ridiculous high resolution and a processor not powerful enough to push so many pixels. Great move, LG. That'll give you the credibility of turd. 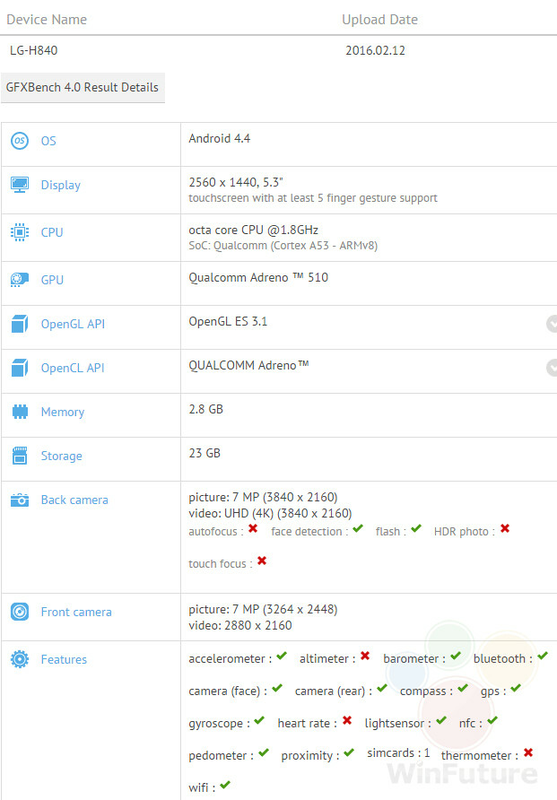 The source link says the SoC is the Snapdragon 652. You transposed your numbers, phonearena. The 652 is more powerful than the Sd810, and is made on the 14nm process. it will have no trouble with a 2k screen. S652 is mid end, much better then mid range socs, mid range soc is 808 and x10...this is 4xA72 monster..